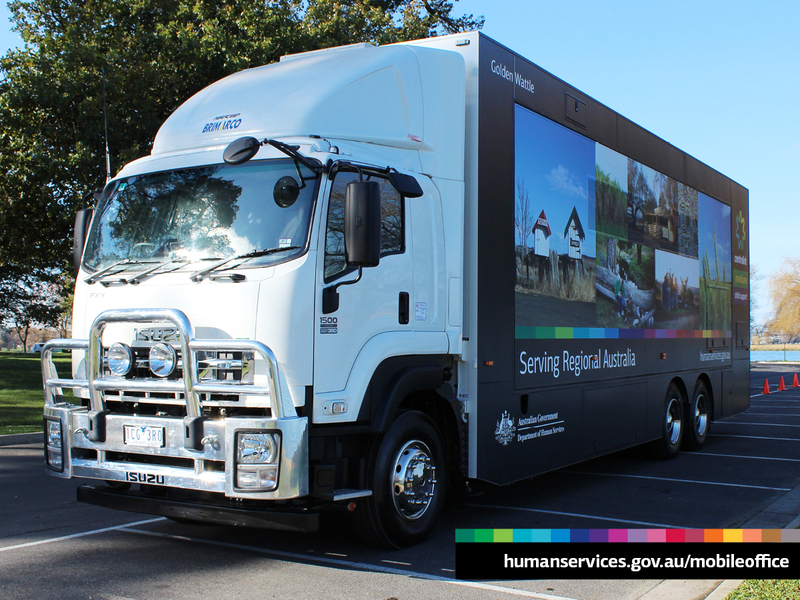 Watch as our newest Mobile Service Centre ‘Desert Rose’ receives its finishing touches before hitting the road to provide vital services to rural and regional communities. 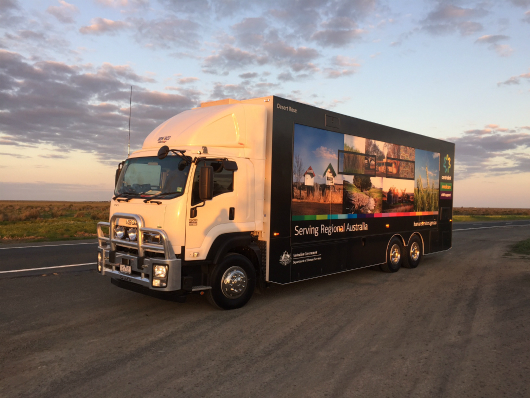 Along with Mobile Service Centre ‘Golden Wattle’, ‘Desert Rose’ will be travelling around the country to provide Australians with information and access to Australian government services. “This new vehicle is state of the art and although it looks the same as ‘Golden Wattle’ it is significantly lighter, has more horsepower, is much more fuel efficient and provides a smoother ride,” said Colin Hall, Director of the Mobile Service Centre team. Our specialised service officers on board can assist with information about the department’s payments and services, as well as provide assistance with new claims and even free hearing checks. ‘Desert Rose’ arrived in northern Queensland last week. There is a full list of stopping locations on our website so keep an eye out for when we’ll be visiting a town near you.